Sometimes there can be some down time during the wedding festivities. 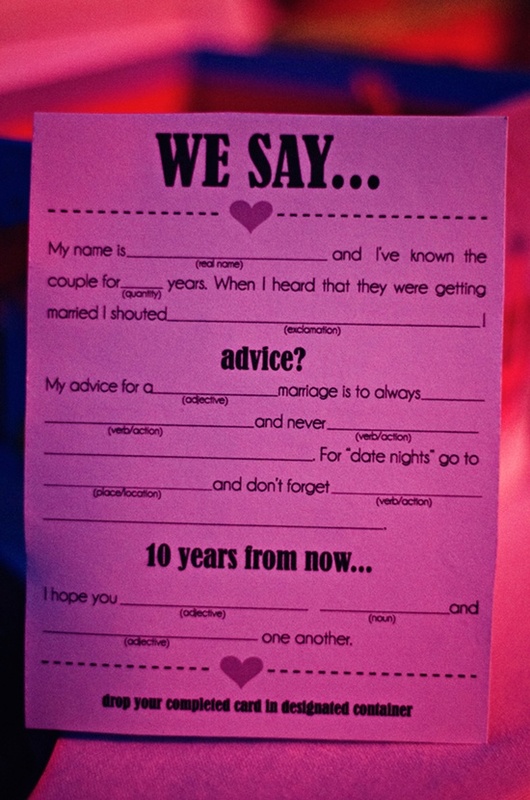 To keep the flow of the day and let your guests have some fun before your big entrance put mad libs at each table or even each seat. We like the idea of putting them at each table because you might not know everyone at the table so it gets everyone involved and is a great conversation starter! 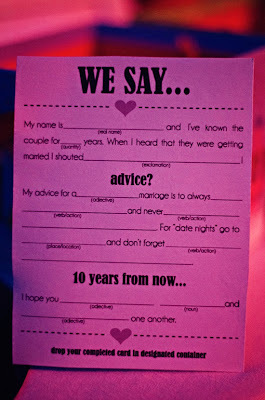 They will have fun filling them out and you will have fun reading them! You can bring them along on your honeymoon to have a good laugh with your new spouse! If you don't like the mad lib idea but want your guests to have something to do during some down time during the day, you could also put trivia cards at the tables to see who knows the couple best! Where was the couples first date?